Mail4Rosey: Holiday HOT ITEM @BestBuy! Get the LG #OLEDatBestBuy - Hurrah for #HintingSeason ! Holiday HOT ITEM @BestBuy! Get the LG #OLEDatBestBuy - Hurrah for #HintingSeason ! 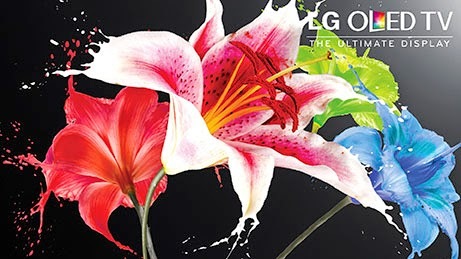 The LG OLED is getting people excited about televisions again, and it's for sale at Best Buy! 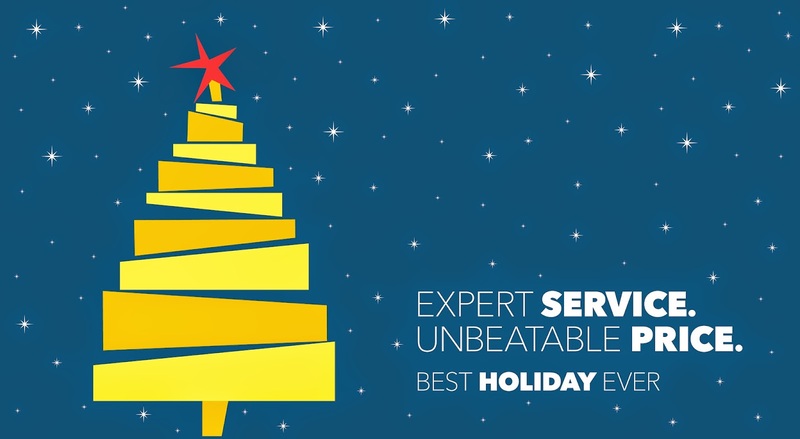 Best Buy is always a preferred Holiday Shopping Destination for us, and we never leave the store empty handed. The colossal selection, excellent customer service, and prices are just too good to pass up. And now they have the new LG OLED TV. I saw it on display at the end of their television aisle, and it was so nice I stopped, and I stayed awhile (and maybe I even touched it ;) ). For the tech lover, this is a dream come true. For those who love a top-of-the-line home theater, this is the TV for you. For those who are wowed by stunning images and color, a sleek design, and a picture that captivates everyone who walks in the room, this is the TV for you too! The new technology LG is using in their OLED TV allows for picture quality, including infinite contrast ratio and stunning color that delivers a greater sense of realism and depth, enhanced color range and accuracy, super thin design, and the intuitive webOS™Smart TV interface that lets you find content faster. I mentioned the thin design, and believe me, you'll be amazed. The LG OLED is really wafer-thin. It is also curved so that your eyes are always equally distant from every area on the screen, an artful evolution of the traditional flat screen, designed for maximum impact. I think the curve also gives it a very modern, sleek, and very visually appealing design. This beautiful TV (and yes, this LG OLED definitely earns the title 'beautiful') also provides you with LG's exclusive 4 Color Pixel technology, for bright, vibrant color like you have never seen before. The Infinite Contrast ranges from the most blazing of whites to the deepest of blacks, and allows infinite where infinite has never been possible before. You can learn more by visiting here: LGOLEDatBestBuy.com. I've seen the LG OLED in person, and it really is visually stunning. I'm thinking it is definitely going to be the holiday 'hot item' of the year for grown-ups. I know it's at the top of my list. Hurrah for #HintingSeason ! You can visit BestBuy to learn more. The LG OLED is available at Best Buy for the everyday price of $3499.99 (save $500). Chris and I are in love with this tv. We want one in the worst way! We are looking to purchase a new television in the near future. This one looks amazing. Really amazing. I'll have to check it out. It does sound like an amazing tv. I've heard so much about the TV recently. I really want one for my bedroom. I'm on the market for a new TV, thanks for sharing this info! This looks like a great TV. My husband and son would love one for Christmas. This TV looks beyond fantastic!!! I want!!!! My husband would love this! We SO need a new t.v. This TV looks awesome! I would love to have one! This television looks unbelievable. There are going to be many happy people on Christmas morning if they wake up with this in their living rooms! I agree, it looks fantastic. My husband and son would love to wake up to one. This looks like a great television! Hopefully there'll be a sale on it for Black Friday. That is what I was thing, too. I hope to see it on sale for Black Friday! I think this is going to be the big holiday gift this year. My husband wants to get one of these for us and put our old tv in the play room. I am thinking we will be adding one to our house soon. The tv in my bedroom is so old. I'd love to replace it with this one! We bought our TV around 7 years ago from Best Buy and it is still holding strong. It's great. I've seen these bad boys in action. They are CRAZY AWESOME! I really want this TV! It's on my Christmas wish list. I have been looking for options on replacing my television set that I have for three years. Though the LG OLED is a bit pricey, with all of its feature, it is still a value for your money. i am ready to bring this tv into our home. come on best buy, play santa for us! My tv is getting old (by tv standards...) I would love to own a TV as pretty as this one. I've heard these have a great picture. I know of a room where one of these would look great. I would like one.. just waiting for the prices to come down and for a tv to die in the house. I really would like to get a tv like this. This is super nice! I am sure my husband would want this Tv in our bedroom if he could or to replace the Tv we have in the living room. I do think it's pretty cool myself I may have to agree with him this time. I would be thrilled if I found this under my tree this year! Sometimes I think I am the only one who watches tv at home, so it would be mine, all mine! This is a very cool looking tv. My husband would love it. This is an awesome TV. I think we will need to check it out the next time we visit Best Buy. I would love having that TV at our home. We'll be moving soon and will need a new TV. These TVs are so nice. I am going to have to save up to buy one! I demonstrate LG TVs at a retail store every Saturday and Sunday. All the salespeople agree it's the best TV you can get for the price range. I'm surprised to note that it's exactly the same price in America as it is in Australia. This TV looks fab and I know my husband will want one. I love the colour enhance feature. I love the brand, great quality products. Yes! I love this TV! It'll be a great gift for the whole family. This TV sounds amazing. I hope Santa brings me one! The LG OLED is so nice. The picture quality is amazing! We're in the market for a new TV, but I'm not in the market to pay this much for one LOL Can't help it, I'm thrifty! Hubby has been hinting this at me now since he saw it. I've told him maybe with a price drop. It's beautiful not in our price range right now. Thanks for a great review! Wha are looking for a new TV and this one would be perfect. Have to write a letter to Santa. I can't escape this tv. It's everywhere. Clearly I need it. Haha! I can't believe this TV is so thin! WOW! the clarity and how thin they are is amazing! I remember the giant Wooden box one's when they were all the rage! This TV costs a pretty penny, but I can really see the difference in quality. I have to see one of these in person. We could certainly use a new TV! This one looks wonderful, crisp and NEW! Oh how Mr. Mashed Up wishes we hadn't just bought a TV. The quality of the picture on this is amazing. I've been hinting that I want this t.v. for a while now with my family, but I don't think it's gonna work. It is a beautiful piece of technology. Maybe I could win it! I love LG. I've had a few of their TV's. They hold up well, it's just all the cool TV's they keep coming out with are so enticing! We really need a new tv. I love all my other LG appliances so Im sure I would love this one too! Thanks so much for all the details! I want and need this tv. My current tv has a green line going down the screen and it is bugging me lol. We need a new TV in the worst kind of way & this one would be perfect! Fingers crossed that the hubs agrees! I love this tv. It has so many great features. This tv is getting a lot of press lately. I am going to have to buy one soon. We love Best Buy! We just upgraded our tv. My husband is like a kid in a candy store when he goes in there! This TV is definitely out of my budget right now, but WOW! Even though I don't watch much TV, I know that it's a TV that my family and I'd enjoy watch our favorite TV shows on. Love tvs like this so bright and bold colours. This is one popular tv this holiday season. I need someone to gift me one. Love this TV! I keep seeing it all over the place. I've added it to our Christmas wish list. I just hope Santa is listening! We plan on taking the TV in our family room and move it into our sun room and buy this TV for the family room. Definitely a great family gift! This tv looks amazing! I'd love to find one under my Christmas tree this year. This is THE gift on my husband's wish list. Too bad we can't afford it. That curved feature alone sounds amazing! We wouldn't know what to do with one of these higher tech TVs .... we are long overdue for an upgrade!! I've been seeing this all over blogland. And the more I see it, the more I have this urge to get my son a new TV for Christmas. LOL. The TV looks amazing. I really think I might get one for my husband. I want one of these so bad this year. Those TVs are amazing. The resolution is stunning and I love how thin they are. This is an awesome TV! Hopefully it will be our next one! How great is this TV? I saw it recently at BestBuy and was floored! I keep hearing so much about it and it looks awesome. I'm going to have to stop by a Best Buy just to see one in action. My husband is raving about this TV. He really wants one badly! I love Best Buy. They have great products. I can't wait to test this TV and really see the difference. It looks amazing! I would own one of those, but we couldn't purchase one. Very interesting design. I should look at them if I ever see one.